Recently JB, author of Leadplague, had a run down of some influential comic books, which prompted me to order some from the ever handy inter-library loan service. While most of the titles recommended were not available, I was able to get a copy of The Incal, and Judge Dredd Case files. My wife had her wisdom teeth taken out last week, so I had plenty of time to read, and managed to get through all three books. This book is part of a larger Incal cycle, which unfortunately continues beyond this volume. Unfortunate, because this might be the only one I can get through the library. 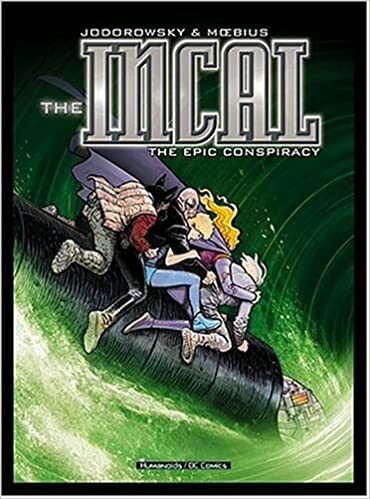 However, the story that is contained here is pretty good, particularly the first part, which is set in a hive city and features John Difool finding the titular Incal. Lots of great artwork here, as might be expected from Moebius. The story gets decidedly weirder as it goes on, and the travelers featured on the cover here travel "down and out" so to speak. The hive world scenes would be useful I think for Rogue Trader/Necromunda, and some of the other sequences were pretty evocative for gaming as well. I am sure that most of you are familiar with Judge Dredd, if only because of "I am the Law!" 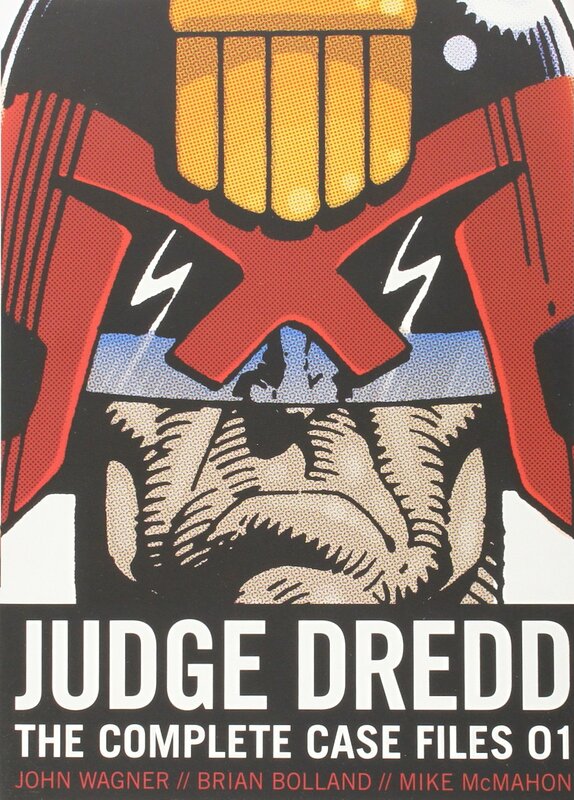 In any case, Judge Dredd is from a future Mega City One (the East coast of the US) where Judges are selected/created to enforce the law in a strict, and sometime brutal way. These two books collect most of the first Dredd stories from the 2000AD comic book. These volumes are in black and white (as was the majority of the source art I believe), and I really enjoyed some of the longer stories that would have stretched out over multiple issues, particularly the Judge Cal sequence. Plenty more of these are available from the library, so I will be getting a few more of them. In any case, plenty of figures available to create some Mega City One skirmish action, or battles between judges from different Mega Cities. Some of the figures would also be useful for Rogue Trader-esque games, which of course makes sense, given the influence of Dredd and 2000AD generally on Rogue Trader (and Necromunda). In particular the MegaCitizens A and B would be great to mix in with more "standard" 40k civilian types, and more random weapons are always useful as well. Plus Walter. Everyone needs Walter the Wobot. By the power of giant feet and giant shoulder pads, I am Sigmar! Have to say that I am not terribly impressed... the technical quality is surely there, but blech. This is not what I want in Warhammer. There was talk of this having rules similar to LotR, which would be good, but then again it would be even less like traditional Warhammer Fantasy than this looks like. This week at work I read George Orwell's Homage to Catalonia , his 1936/37 account of his brief time in the Spanish Civil war, and the Barcelona fighting between the anarchists and communists. Mr. Orwell fought as a member of a later suppressed Marxist militia (POUM), and was seriously wounded on the front lines near Huesca. He then returns to Barcelona to find his organisation has been suppressed, and his membership in the party a liability, and manages to escape Spain. The book itself is excellent, and very readable, as one might expect from Mr. Orwell. Reading it contrasts the civil war in Spain with the experiences of soldiers in the Great War, particularly as Mr. Orwell was involved in static trench fighting and sieges, neither changed much by the limited introduction of airplanes and tanks. Mr. Orwell himself comments on this, as much of the equipment issued at this stage of the war to the Anarchist Militias is very old, or home made. Another reason for its popularity may lie with the excellent miniatures sold by Empress Miniatures. Great looking figures, and at £7 for 4 figures, a nice price as well.